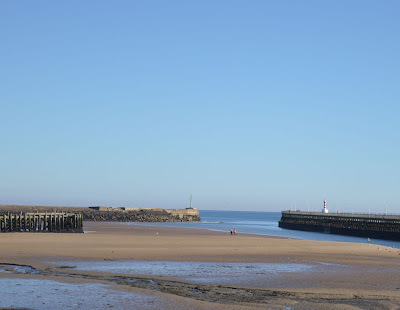 After one too many wines at Bonbar this week, I was in need of some fresh air so we decided to drive up to Amble for the afternoon. 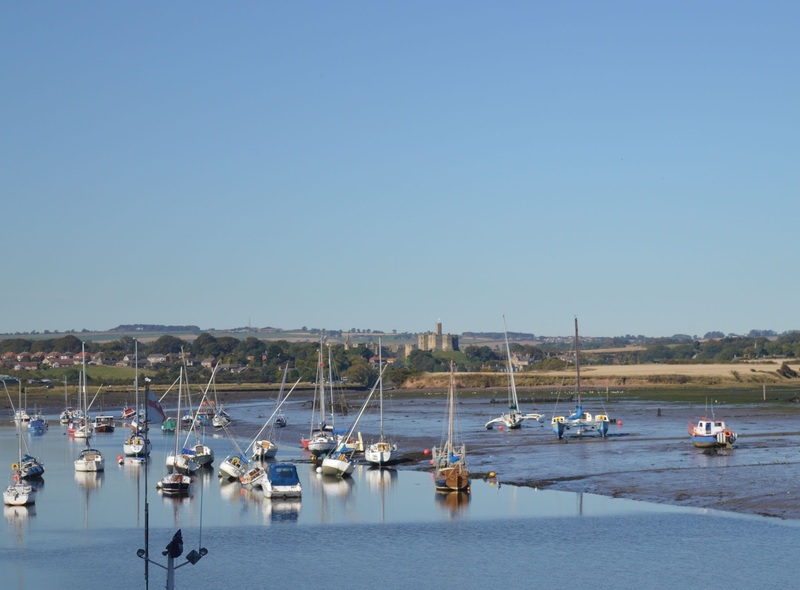 Amble is the most gorgeous harbour and town in Northumberland with independent shops, craft stalls, lovely tearooms and even it's own ice cream parlour. Town centre parking is ample and free for up to 4 hours. We had such a lovely afternoon wandering around that we decided it would be a perfect retirement spot for us in the future. 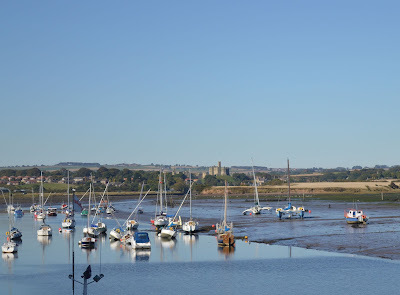 You might spot Warkworth Castle in the distance. 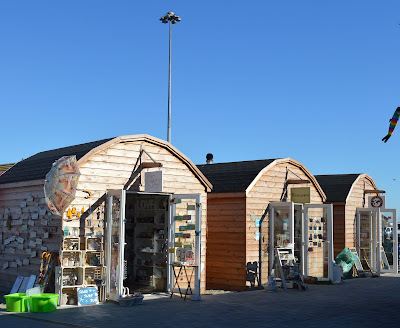 I loved the wooden craft huts which are home to lots of local businesses from artisan bakeries to coffee shops, gourmet dog ice cream, jewellery, art and more. If you are looking for a lovely gift for someone, Amble harbour will be the perfect place to start your shopping. I also managed to buy some beautiful knee high boots from a small independent shoe shop on the high street - I had been searching for a pair recently and they were mostly around £100 - these ones set me back £20 and are ever so comfortable. 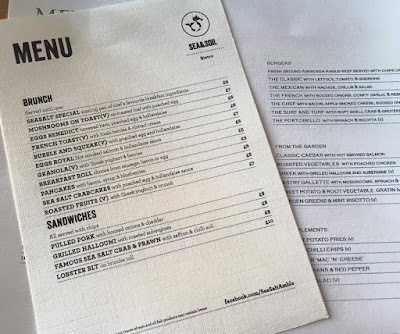 I asked local foodie All About Eats for their top lunch recommendations and they advised a trip to the recently renamed Sea&Soil on Queen Street in the centre of town. It was fairly quiet but that didn't put us off as the atmosphere was lovely with lots of local art for sale hanging on the wall. 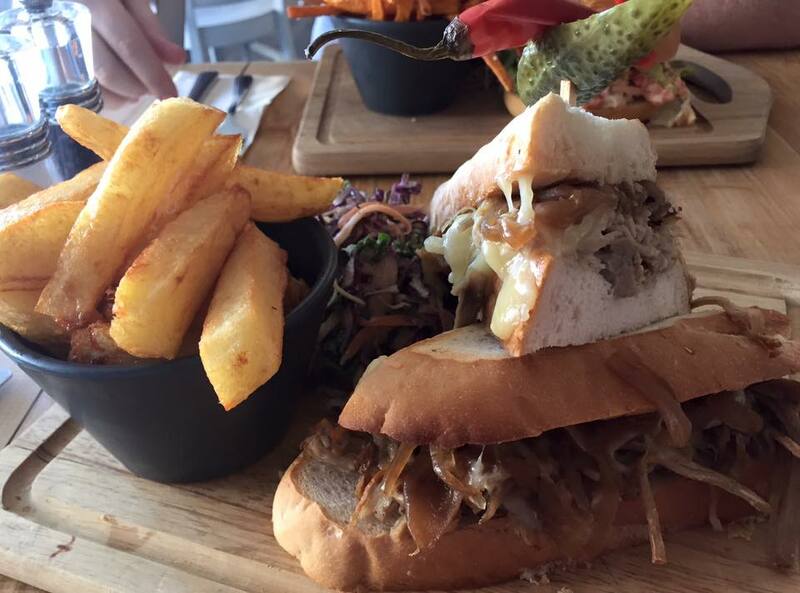 I opted for the pulled pork and onion baguette which was the perfect stodge I was looking for! The homemade chips were a welcome addition too. 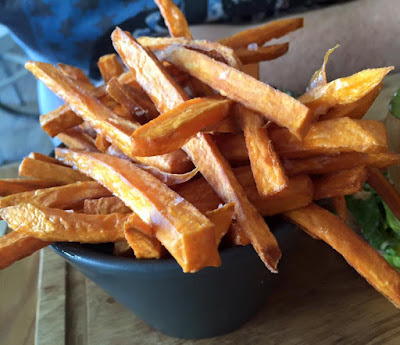 Hubby went for the Lobster BLT with sweet potato fries which he thoroughly enjoyed and demolished before I could even have a bite! An afternoon in Amble for the perfect antidote to one too many nights on the tiles and we can't wait to visit again soon. What a wonderful hangover cure! 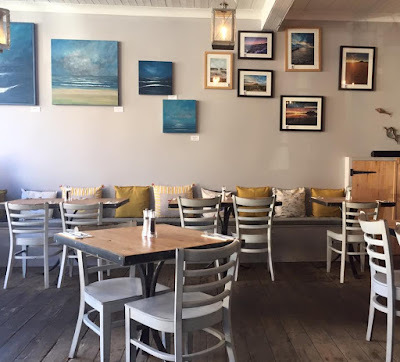 Definitely seeking out Sea&Soil next time I'm in Amble! I love the new craft huts and ice cream parlor, Amble has really gone up in the world in the last few years! 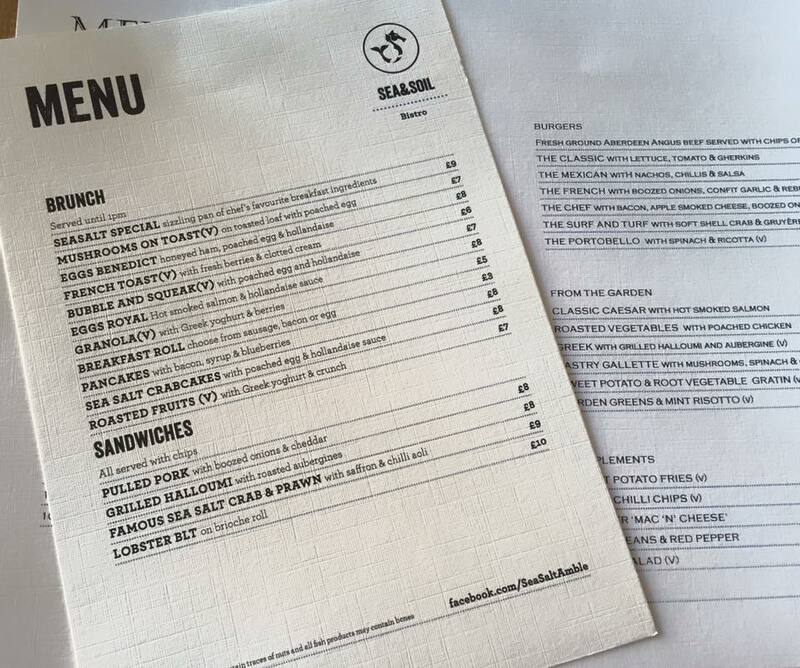 I'll have to check out Sea&Soil next time we're there, the food looks lovely! Cannot remember thastounded time i was up in Amble. 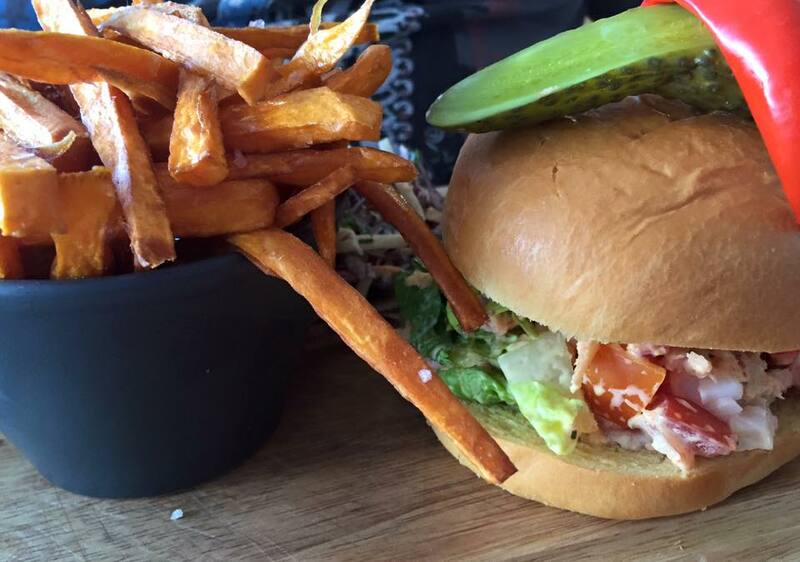 The Lobster blt and sweet potato fries looks lush. My fella grew up there and a lot of his family still live there.